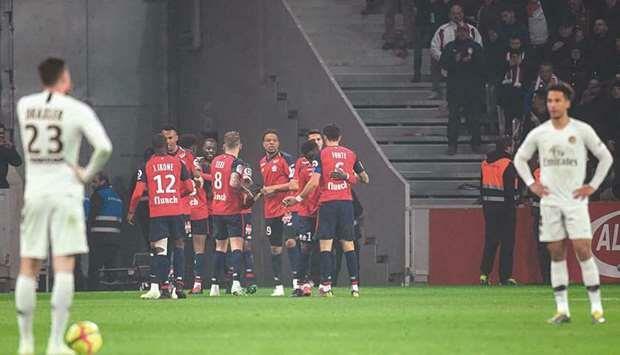 (MENAFN - Gulf Times) Paris Saint-Germain missed the chance to seal their sixth Ligue 1 title in seven years for the second week running on Sunday after a 5-1 hammering at Lille, their biggest league defeat in 10 years. 'We are going to be champions, but you have to lose in the right way, said Kylian Mbappe, who had two goals ruled out for offside. 'We can't lack personality like that, and concede three, four, five goals. Losing happens, but that is not normal. 'Putting five past PSG doesn't happen to everyone, even if they did only have 10 men, but we played well tonight, Pepe told Canal+. 'We've still got six matches left and we need to win at least three or four to be assured of the Champions League next season.